In today’s working environment, one of the biggest issues that organisation’s face is engaging their workforce. A staggering 68.5% of employees would describe themselves as being actively disengaged, which costs the organisation between 48% and 61% of an employee’s annual salary. A costly mistake that is easily rectifiable by engaging with staff and ensuring they have the tools to remain motivated and productive. A better engaged workforce increases productivity as users believe that the work they’re doing is important and therefore work harder. An engaged workforce is a fulfilled who build strong working relationships which boosts employee retention. Users who feel engaged with their organisation are naturally better at collaborating with others to ensure they get the right expertise they need. Employees who feel disconnected and disengaged are more likely to say negative things about your organisation which can have a detrimental impact on the reputation of the company. An engaged employee is aware of business context and works with colleagues to improve their performance within the job for the benefit of the organisation. 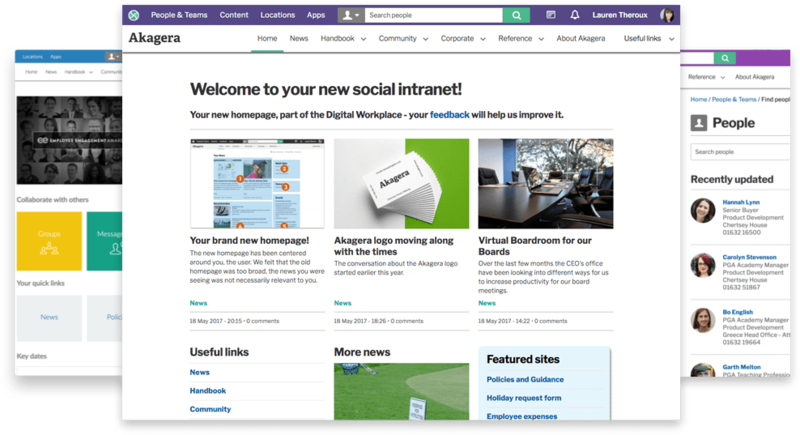 By introducing a social intranet and allowing your users to collaborate through multiple channels you will see productivity in the organisation increase rapidly. Each of our social intranet features are fully customisable, users can express opinions through groups, blogs message wall and many more. 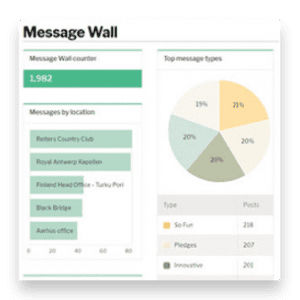 Illustrations can be added to the cotent to bring it to life, as well as the ability for other users to give their feedback, thoughts and opinions. Blogs – Share your employees’ experiences and thoughts using Invotra Blogs and engage others in valuable discussions around a topic through commenting and rating. Groups – Give your users the power to create self organising digital conversations. initiating discussions with individual posts, replying and interacting with others who have posted, and collaborating on content using Invotra Group Docs. Ideas – Give all employees the ability to submit ideas for improvements, then moderate and assign all suggested ideas to the correct teams for development into your next round of innovation. Polls – Capture the opinions of all of your colleagues with easy to create polls, showing instant results. Events – Advertise and invite colleagues to upcoming events with Invotra Events.